Welcome everyone! Today is the fourth day of this Event. It's very informal, as you will note. 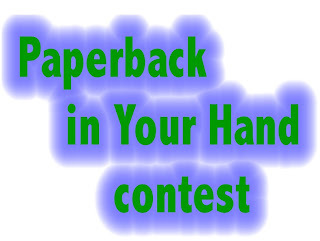 Each day I'll be putting up a tip or trick to help writers make the most of contest writing... not only the Paperback in Your Hand Contest, but other competitions, too. Please be sure to read the comments for the earlier parts, as the writers had some useful tips of their own. If you plan to enter this contest, you'll find all the details at http://www.affordablemanuscriptassessments.com . If your entry is fiction, make sure the plot has plenty of highs and lows. Most readers prefer a story where there is plenty of action, but which allows for some quieter and more reflective passages that allow them to get to know the characters. It is also better to show characters who have shades of grey in behaviour, emotion and luck. You can test this by plotting your protagonist's emotional journey on a graph, If the emotional journey appears to be flatlining, so, probably, is the story. Thanks for reading, and don't forget to check in tomorrow for the fifth tip.